Let the light in to your consciousness! Today I was feeling overwhelmed by a set of circumstances. I couldn’t seem to lift my thought above the limiting situation and into the spiritual realm of hope and divine possibilities. Each divine thought (or “angel message”) acts as a light in our consciousness. If we are troubled with fear, worry, or regret there is a lot of darkness in our thought. Divine ideas (with their signs of peace, hope and assurance of ever-present Love) are a light that casts a warm glow in the darkness. Turning on one light, or letting in one good thought, reminds us of the good. Ahhh…that feels good! So, the next time you feel like you’re in the dark, turn on the light! 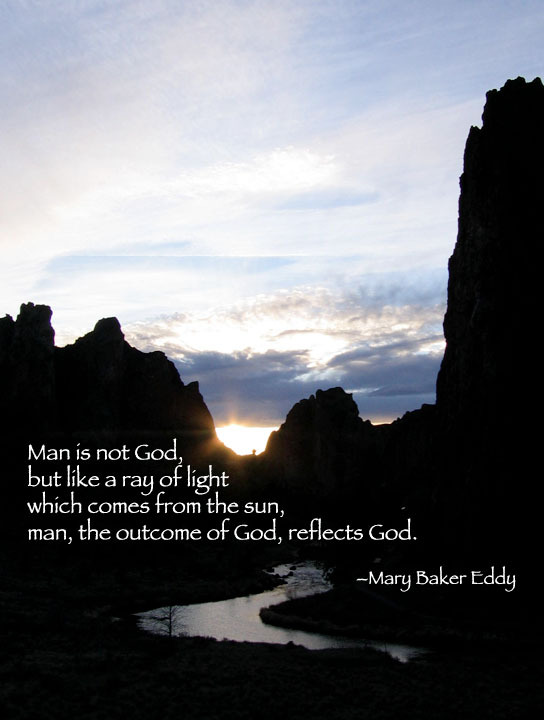 Let in one good thought and see how the light multiplies. This gets “you” out of the way, and leaves radiant room for God to supply His spiritual solutions. Thank you for these thoughts, Lyndsey. Next time I feel overwhelmed I’ll try to remember that the solution is not complicated–I’ll just let in one good thought. That can’t be too hard. And it will lead to another. Then another. Thank you LIndsey – this was just what I needed to hear! And good to see your blog. I am going to do some exploring! Thanks, Kim! So glad to hear 🙂 Thanks for stopping by! So grateful to find your blog, Lindsay! Well said. So grateful for you!